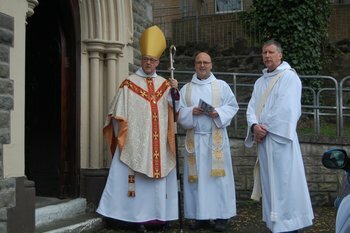 Everyone who lives in Wales is aware of Saint David’s Cathedral in Pembrokeshire, which is claimed to stand on the site of the monastery he founded. 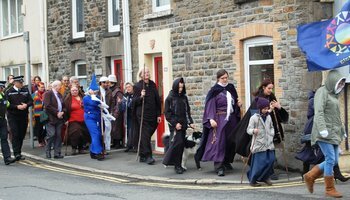 How many people I wonder, are aware that Saint David also founded a monastery in Llangyfelach which is about four miles north of the centre of Swansea and just west of Morriston? 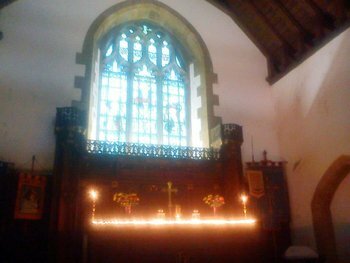 The church and early monastic community of Llangyfelach is shrouded in mystery. 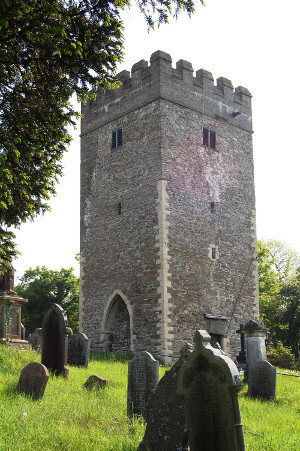 People, who drive through the present village or pass below the hill on the M4 motorway, are usually totally unaware of the great historical significance of this place. Perhaps the most striking thing about Llangyfelach church is not the magnificent freestanding Norman tower, but the graveyard which is circular in shape. 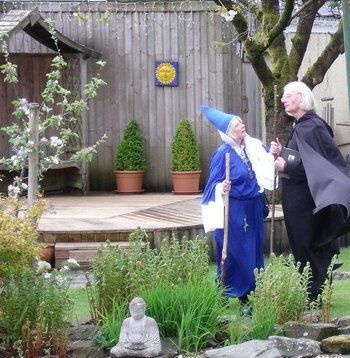 This more than anything else indicates its Celtic origin and suggests the area where Saint David probably founded his monastery, making it the site of one of the earliest Christian settlements in Wales. 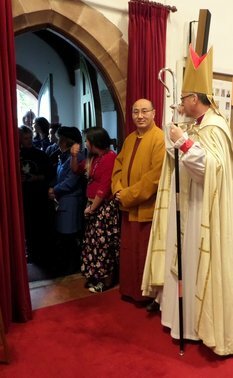 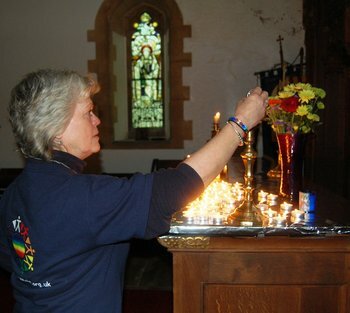 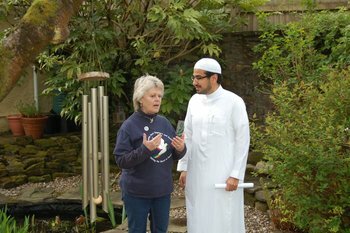 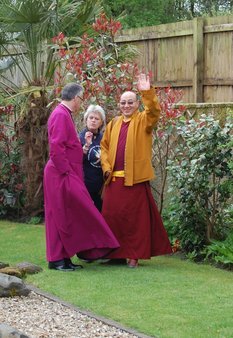 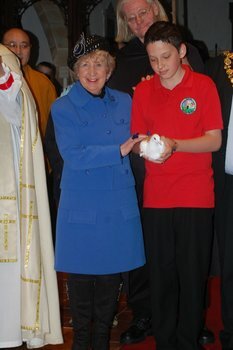 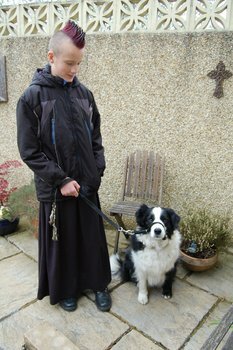 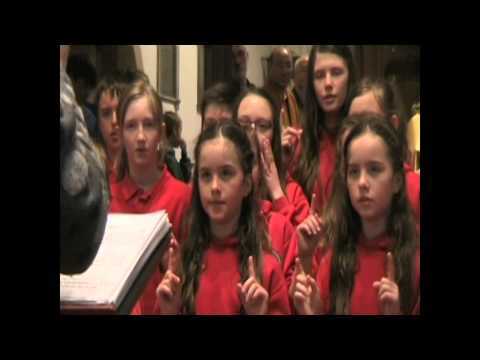 On Thursday 9th May 2013, Ascension Day in the Christian calendar, the Peace Mala educational project for world peace organised a one day pilgrimage to Llangyfelach. 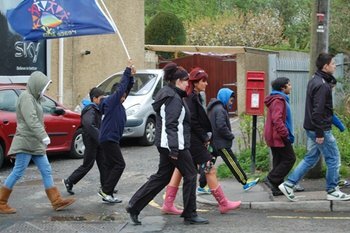 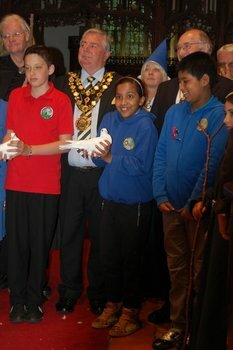 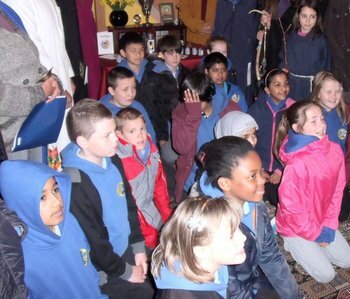 Pilgrims, including school children from local Peace Mala Schools (Hafod Primary Swansea, Christ Church Primary Swansea, Penllergaer Primary Swansea, Catwg Primary Neath and Saint John Lloyd Catholic Comprehensive Llanelli), along with representatives of several world faiths joined Bishop John of Swansea and Brecon in the first pilgrimage of its kind to Llangyfelach since ancient times. Pilgrims walked from two directions. 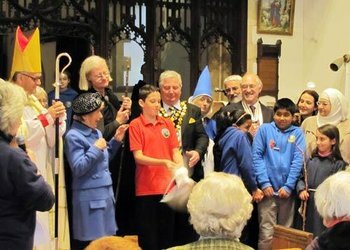 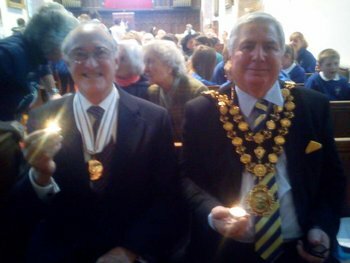 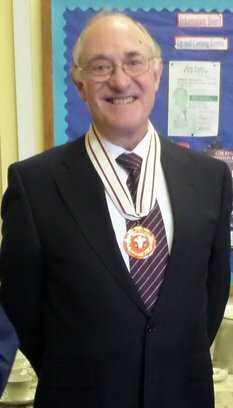 Some started from the peace garden in Penllergaer Primary School, on to Saint David’s Church Penllergaer, through the woods and eventually to Llangyfelach. 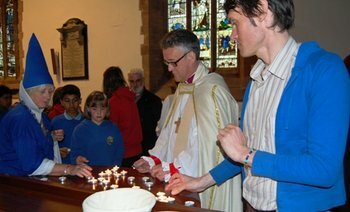 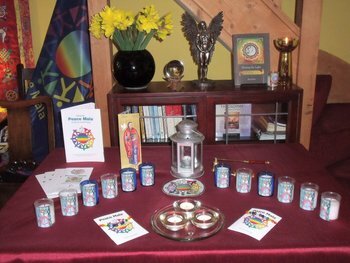 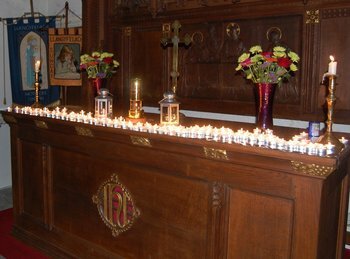 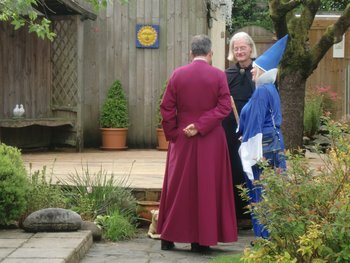 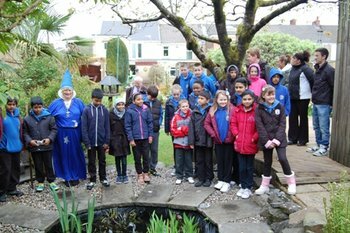 Others, including the bishop, many faith representatives and pupils of Hafod Primary School, met in the peace garden at Peace Mala HQ in Morriston where the blessed light from Saint David’s shrine was re-lit and peace votives for the pilgrimage were blessed. 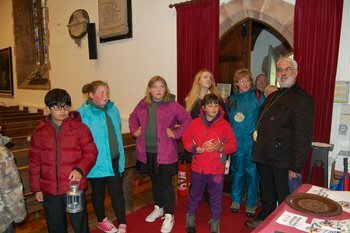 Pilgrims then processed through the town to St David’s Church and on to Llangyfelach where a service for world peace was held at 1pm at the church of St David and Cyfelach. 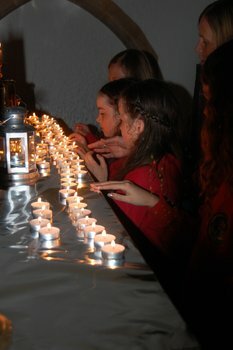 School children from local Peace Mala schools contributed with songs, dance and peace prayers. 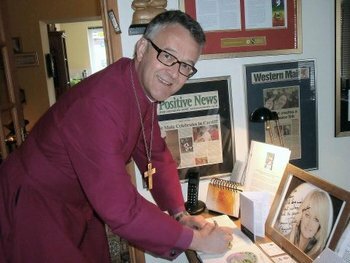 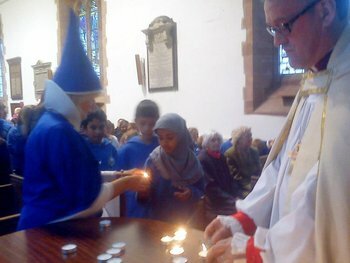 Bishop John emphasised to everyone present the importance of forgiveness and active compassion in our daily lives. 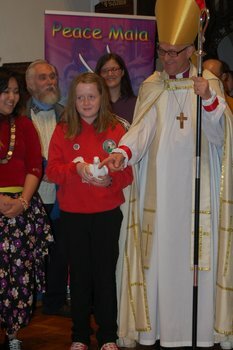 Three white doves were released by representatives of the Abrahamic faiths along with prayers for peace in the Middle East and the whole world. 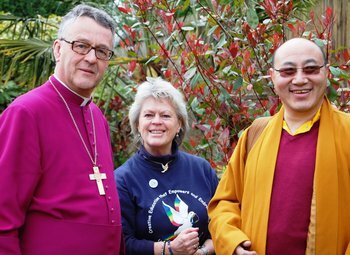 “I have never experienced anything like it – entirely in a positive way. 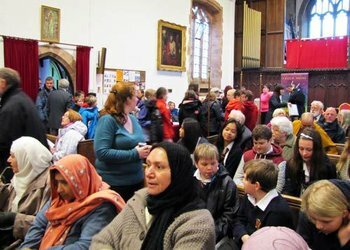 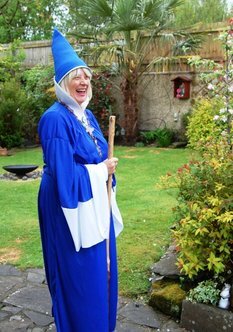 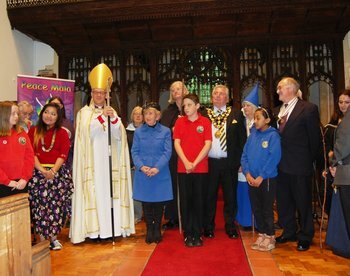 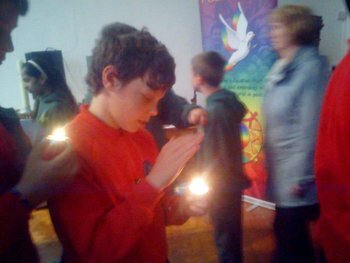 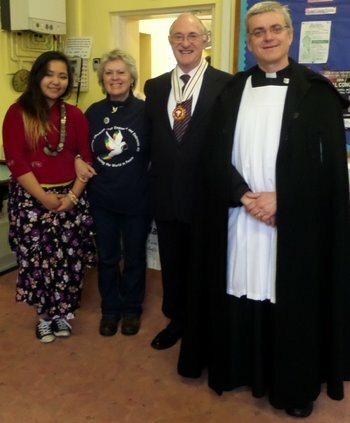 I loved the involvement of the children and the representation of so many faiths, and how comfortable we all were in the presence of each other”. 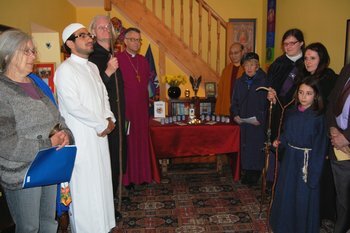 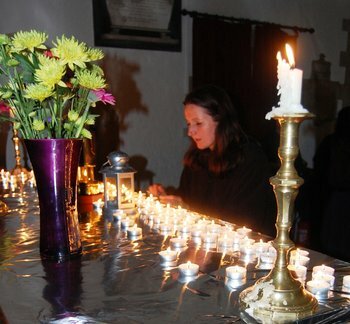 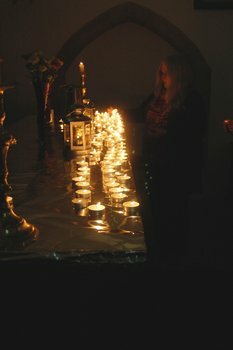 Faiths and spiritual traditions who joined the pilgrimage and took part in the service were Orthodox Judaism, The Greek Orthodox Church, The Anglican Church in Wales, The Catholic Church, Islam, Hinduism, Kagyu Tibetan Buddhism, Baha’i Community, Yungdrung Bon Pre-Buddhist Tradition of Tibet, Brahma Kumaris World Spiritual University, Irish Order of Ancient Druids, Gwyddon Earth Religion of Wales and the Wayfinders Association of Modern Wizardry. 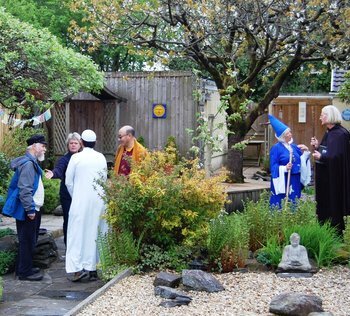 “Underlying many of the world’s religions is a profound respect for the dignity and value of each individual human being, and the simple aspiration that human beings should treat others as they would wish others to treat them.